1.4 Where do SARMS come from and why were they developed? 1.6 How many SARMS are there? 1.7 Why are SARMS beneficial? 1.8 Who Can Use SARMs? 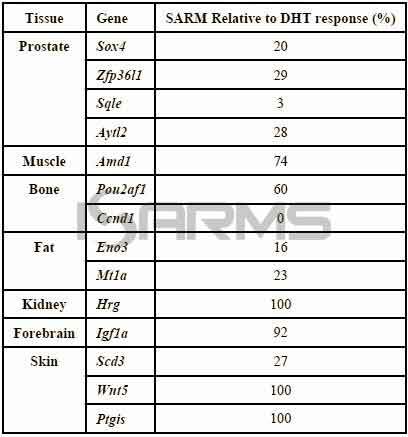 The word SARM stands for “Selective Androgen Receptor Modulator,” and just like the other selective receptor modulators, SARMS can either block, or stimulate, the same nuclear hormone receptors under different conditions. Consequently, if it can block or stimulate a receptor in a tissue selective manner, it may be able to mimic the beneficial effects in one tissue. And, at the same time, minimize the unwanted effects of the synthetic steroidal hormones in other tissues. Since SARMS are a class of androgens (a specific class of hormones that serve as ligands), they can bind to cellular androgen receptors. As a result, the androgen receptors will trigger a complex signal transduction pathway that will lead to a greater expression of specific genes. In fact, anabolic androgenic steroids (AAS) and prohormones also bind to the androgen receptors, resulting in muscle growth. However, SARMS possess full anabolic activity in muscle and bone. Yet they have a minimal effect on the prostate as opposed to AAS, which can be very harmful to this gland. As an additional advantage, they are orally available and require no injections. In spite of being oral compounds, SARMS are not methylated, so they are not liver toxic. Due to the fact that SARMS are very specific to the androgen receptors, they can be extremely useful for safe muscle building. All in all, they have an abundance of qualities. They are highly beneficial to bones, muscle tissues, and sexual function without the conversion of androgens into estrogens seen with steroids or prohormones. Hence, SARMS offer the benefits of anabolic steroids, but they do not cause the side effects commonly associated with AAS. This quality makes them extremely desirable and intriguing to any class of users. 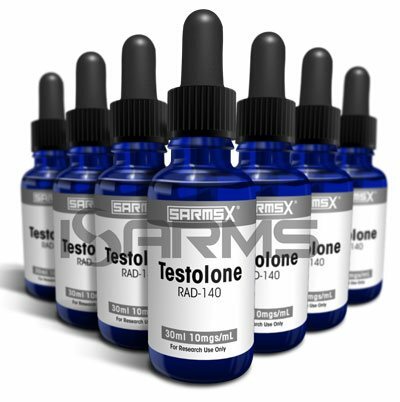 The development of steroidal SARMs started in the 1940’s with modifications made to the testosterone molecule. Since then, pharmaceutical companies have been testing them for a variety of health benefits, which range from anti-obesity and bone health promotion, to fighting different diseases and counteracting muscle wasting. Where do SARMS come from and why were they developed? Steroids are generally prescribed by medical practitioners for two common reasons. The first, to treat muscle wasting diseases which usually take place with such conditions as cancer and osteoporosis. The other scenario takes place when steroids are prescribed for Hormonal or Testosterone Replacement Therapy (TRT). However, the main problem with steroids is that they often cause many unwanted effects. And they have pharmokinetic properties that are not desirable. 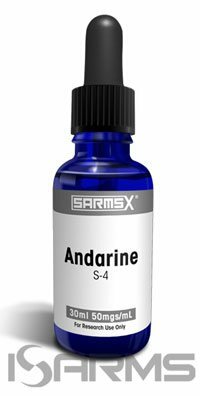 Meanwhile, SARMS’ ability to stimulate a receptor in a tissue selective manner allows them to mimic the beneficial effects of androgen activation in muscles. At the same time the side effects of natural steroidal hormones can be minimized. In simple terms, SARMS are able to selectively induce muscle growth, avoiding the unwanted side effects. Others, which are no longer developed, such as Andarine. Furthermore, GW-501516 is no longer being developed either. Technically speaking, it is not a SARM – it is a PPAR (peroxisome proliferator-activated receptors). However, it is a very popular drug to stack along with SARMs as part of double or triple stacks. How many SARMS are there? SARMS are constantly being studied and developed. What’s more, there are many compounds associated with them, but by definition they are not actual SARMS. 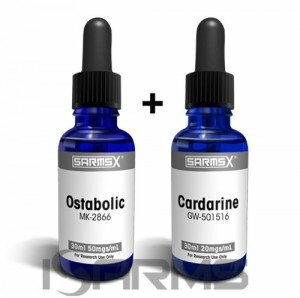 For instance, some of the mainstream compounds wrongly associated with SARMS are Cardarine (GW-501516) and Nutrobal (MK-677). The more mainstream ones that most know of are Ostarine – also known as Ostabolic – (MK-2866), Andarine (S4), Anabolicum (LGD-4033), Stenabolic (SR9009) and Testolone (RAD-140). For more information on MK 2866, click here. As mentioned above, SARMS have steroid like results without the many unwanted side effects that AAS can cause. Here are the side effects of Anabolic Steroids (none of which are present with SARMS use). For more information on LGD-4033, click here. Thus, SARMS are a much safer option to steroids because the selective stimulation of the androgen receptors only in bone and muscle tissue will prevent many, if not all, of the side effects listed above. Besides, they also have the advantages of oral dosing, which testosterone and some steroids do not have. SARMs’ benefits could be extremely convenient to someone who is out of shape and/or overweight, and wants to use performance enhancing drugs (PED). If these individuals were to jump on steroids, they would experience major organ strain, estrogen related side effects (gynecomastia and high blood pressure for instance), and other major health problems that accompany AAS use. For them, it would be advantageous to use these research chemicals instead, as they are much safer and do not have those types of side effects. 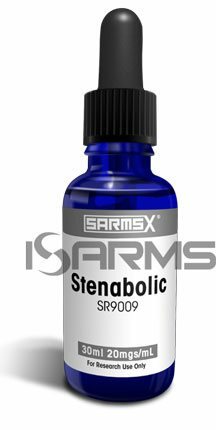 Furthermore, SARMs could be very useful for someone who has taken a long time off from the gym, or who is totally new to androgens, since they are a good starting point in comparison to taking the plunge with extremely powerful and potentially risky anabolic steroids. Interestingly, the experienced lifters can use certain SARMs during post cycle therapy and bridging, which is not possible with anabolic steroids due to their suppressive nature. As a matter of fact, they can also help heal injuries, while anabolic steroids can make injuries worse. Actually, an example of injuries getting worse with AAS use would be joint issues that occur when cycling winstrol, masteron, or other dry compounds. However, certain SARMs will strengthen your joints and bones. Finally, most SARMs have the advantage of not converting to estrogen, not being liver toxic, and not being screened for during some fitness related competitions. For more information on S-4, click here. For more information on GW-501516, click here. There are several possible ways to implement SARMS in you cycle, as they have a place and benefit in any situation. For example, they became popular as a “bridge” in-between anabolic steroid cycles. Using them in this manner allows the user to have a much easier time keeping and/or adding to gains made on previous cycles. This can be done without having to worry about the side effects and drastic suppression one would experience with AAS use. For more info on a Bridge Stack, click here. Moreover, some SARMS have shown to be extremely effective in post cycle therapy (PCT) protocols, rendering a user with an enhanced recovery process. Finally, they have shown to not only compliment other anabolic compounds, but serve as an “enhancement for the enhancers.” In simple terms, they optimize the effects of anabolic steroids. For more information on a PCT stack, click here. SARMS can be cycled for any type of goal – cutting, recomposition or bulking. 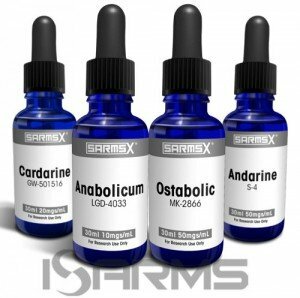 Over the years, SARMS have proven to be extremely versatile and have the capability to achieve any type of goal. Generally, these compounds have an area where they truly shine, but when ran in a stack, the synergy between them allows maximum results. For instance, Testolone (RAD-140) and Anabolicum (LGD-4033) are best used in a bulking type of cycle, while Ostabolic (MK-2866) is best suited for a recomposition. On the other hand, for a cutting cycle one should opt for Andarine (S4) along with Cardarine (GW-501516) and Stenabolic (SR9009). At the same time, Nutrobal (MK677) will fit in any cycle, as it has the ability to cut fat and add great size at the same time. Hence, if chosen properly, SARMS can help you achieve any goal you desire. For more information on MK-677, click here. Usually, SARMS cycles tend to range from 12 to 16 weeks, depending upon the choice of the chemical. After the cycle completion, a mini post cycle therapy (mini pct) is all that is needed, as recovery from them is much easier than with anabolic steroids. A small protocol of clomid and Cardarine during 4 weeks is more than enough. Then, a small rest period of 2-3 weeks is necessary before beginning again. In fact, Cardarine (GW) and Stenabolic (SR) require no PCT at all if ran alone. This is another characteristic that makes these compounds an optimal choice over AAS and PH use. Sarms can be utilized in four different ways. This is probably the most popular way to use SARMs. Anabolic steroids do not burn fat, and we know this as a fact. However, they do burn fat, so if you are looking to recomp and want to avoid shutting yourself down, they can be utilized perfectly in this situation, especially combined with proper diet and cardio. Moreover, they have a great ability to add lean muscle mass while you burn fat, which makes them great for recomp. SARMs can increase strength extremely rapidly because they bind to your androgen receptors so fast. The beauty part of this is that, unlike anabolic steroids, they can help heal joints, allowing you to go heavier without fearing injuries. This is very beneficial for those who always complain about nagging joint issues. The secret to SARM’s fat burning properties is their ability to decrease lipoprotein lapase enzyme, which will prevent fat from being added. Combine the PPAR GW to your SARMs stack, along with diet and cardio, and you can shred up very fast on it. Unfortunately, it is not the best way to utilize them, but if you do not want to deal with HPTA (hypothalamic pituitary testicular axis) suppression, then you can most certainly bulk on them combined with weight training and increased calorie intake. SARMs come in liquid form, and it is not recommended to mix them in a cup and then drink or to hold under the tongue. The proper way to ingest is simply squirt into the mouth your desired dosage and swallow it, then chase down with some water or juice. Dosages are dependent on the specific SARM(s) you are using, hence, please read future articles for individual information. Unlike ordinary anabolic steroids, SARMs can be purchased legally in the US and other countries for research purposes in liquid form to be ingested. Obviously, it is illegal to use them for non-research purposes and they have been banned from all major sports, including the Olympic Games. Therefore, finding a legitimate source is extremely important, as there are many fake and underdosed products being sold. The only place I would trust is this site because they have the best products on the market. Although SARMS are considered to be in an earlier phase of development, the potential for these compounds is very high, which is made evident by the number of pharmaceutical firms currently developing different products. Even though a slight HPTA suppression may be present at higher doses that are run for longer time periods, a stringent PCT is not necessary. High oral bio-availabilty without any damage to your liver; compared to the nasty toxic effects of steroids and prohormones on the liver. NCBI, Holland-Frei Cancer Medicine. 6th edition., Mark J. Ratain, MD and William K. Plunkett, Jr, PhD. : “Principles of Pharmacokinetics”. hi Dylan, wanted to know if you think stacking stenabolic and cardarine is a good idea? Sure, you can stack 20mgs of cardarine and 20mgs of stenabolic per day make sure you space out the SR dosages. I have some joint problems and some knee issues, can you recommend the best sarm for that? If you have joint issues, ostabolic and nutrobal is your best bet. Ostarine is used for joint repair and nutrobal 677 is basically an HGH releaser that will help you heal. I’m using andarine s4 right now and having some vision sides is this from the s4 or just my eyes going bad? Andarine (S4) has some vision sides but you can mitigate them by decreasing your dose or using 5 days on 2 days off approach. means you take andarine for 5 days then take 2 days off. What sarms are best for bulking up? I have been looking at lgd and osta those any good for bulking? I found the best bulking runs are done with ostabolic (osta) 50mgs ED and anabolicum (LGD) 10mgs ED with some andarine 25mgs-75mgs ED. Make sure to cycle andarine properly. Dylan, can you tell me if it’s safe to use sarms if I’m 19? I don’t suggest using supplements until you’re over 21. Just like anything when you’re young you have natural hormones. You don’t need sarms or steroids because you’re already growing naturally. This will happen until you’re 25 and growth platelets close. I’m starting my 1st sarms triple stack but I’m not sure if the triple stack has anabolicum lgd or not? The triple stack is cardarine/ostabolic/andarine basically (gw/mk/s4), usually if you add anabolicum LGD thats call it quadruple stack. 4 sarms in 1 run. Is cardarine safe to take at 100mgs per day? or not? You should NOT take dosages above 20mgs per day with cardarine. It will NOT make results better. Please don’t abuse sarms. I started taking andarine s4 but now I’m getting strange yellowish vision and hard to see sometimes in the garage where I park. Is this normal to have? Andarine s4 has some vision sides, especially at higher dosages. I suggest you lower your dosages by 1/2 and use s4 5 days on 2 days off. Like mon-friday you take it, sat/sun off. want to lose fat but dont want to use steroids what sarms can I use for fat loss? You should use Cardarine and stenabolic in a stack if you want to lose most bodyfat. I usually lose a lot of hair when I use steroids, will I lose hair if I use SARMS? very worried about hair loss! SARMS are like steroids without the side effects. It means you will get results but wont have the side effects so you will NOT lose any hair. SARMS does NOT cause hair loss for sure. 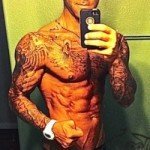 Bulking up with steroids and sarms is possible or not? I heard I have to use either steroids or sarms which is true? You can bulk up by stacking sustanon, equipoise and andarine/ostabolic, best bulking stack but add cardarine @ 20mgs ed to boost your cardio. Best sarms for crossfit are Cardarine gw 20mgs/ED or stenabolic 20mgs/ED, both are great for cardio but a combo of the 2 is gold for crossfit. Doing powerlifting right now, looking to get VERY strong so which sarms can I use to get strong? 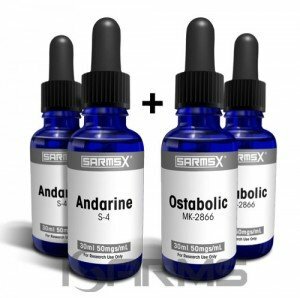 I suggest you use andarine s4 25mgs/ed and anabolicum lgd 10mgs/ed to get strong, strongest possible is with these 2 stacked and some ostabolic 25mgs/ed. Are there any sarms that guarantee me some good abs? Looking for a combo. Nothing is guaranteed bro. I suggest you use cardarine and stenabolic for cutting, add some andarine. Dylan, I want to know how to stack SARMS with steroids for the best cutting cycle? Best you take SARMs with low amounts of steroids. Meaning sarms triple stack cardarine/andarine/ostabolic with some testosterone. Hey Dylan wanted to know if SARMS are bad for your liver?